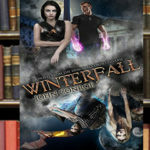 Hey all I’m back with the second part of the short story from my favorite Urban Fantasy series. 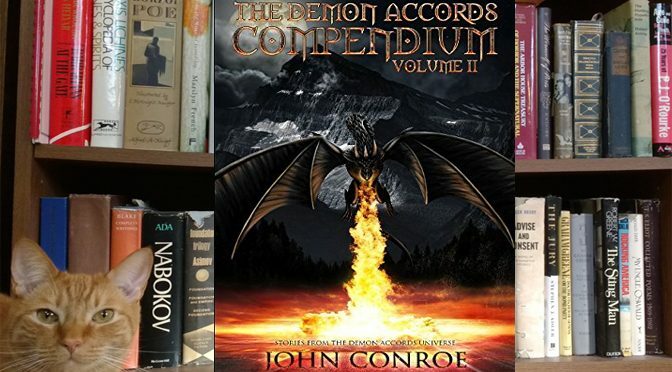 It’s The Demon Accords Compendium, Volume 2 in the Demon Accords series by John Conroe! If you want to see what the first half of this series of short stories in the Demon Accords world is like, you can check out our review of part one! 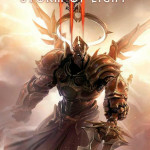 Plot: I enjoyed the three short stories in this part of the compendium, though I will echo my previous reviews comment that it should have been combined with the first half in a “publishers pack.” It was very short and left me wanting the next full installment of the series to be out already. So while it’s good fun, those waiting for a full main entry may want to wait for that entry to be released first. Characters: We get to see some interesting points of view and it was great to see Toni again be part of the series. The other short stories are interesting, but also incredibly frustrating for those of us who hate to wait. One wonders why such short books, basically just a collection of smaller tales, were broken up in to two volumes. 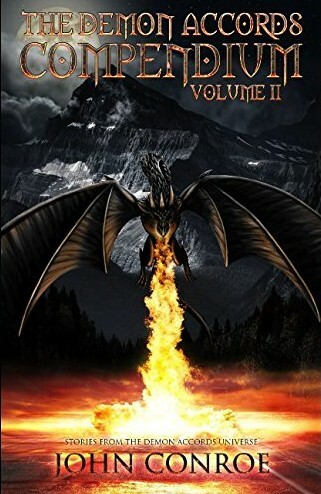 Volume two is only 75 pages long with three stories. They could have easily been added to the stories in the first compendium, which itself was also fairly short, though a bit longer than this one. 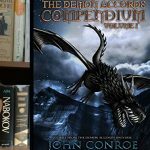 Although not very big, Demon Accords fans can find a lot to like about the second volume of short stories from that series. Get a copy from Amazon. John Conroe is a great writer, but that does not mean that we should have to purchase his stories piecemeal. 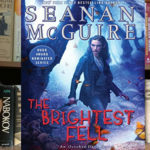 We also hope that these mini-stories have not further delayed what we all really want: the latest, full new novel to come out for this great series. Overall: Good fun, but not a full entry in the series.